Nintendo has posted another update to the Smash Bros. Blog for Super Smash Bros. Ultimate. This time around, we have an introduction to Ken. Ken joins the battle as Ryu’s Echo Fighter! 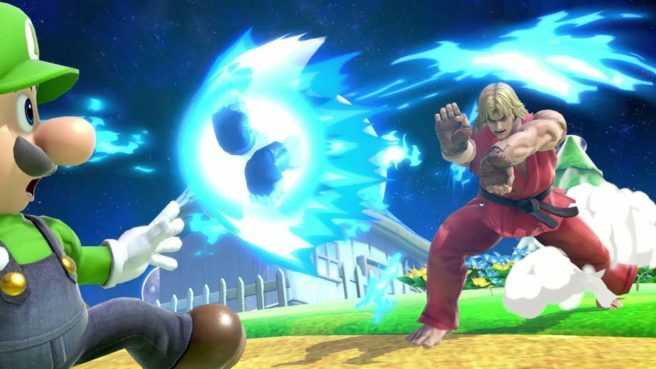 Their differences are carried over from the original game: Ken’s Hadoken is shaped differently, his strong Shoryuken has flames, and he moves a bit faster. He has two Final Smashes: Shinryuken and Shippu Jinraikyaku.